The Belgium Men’s National Hockey Team competes in International hockey and other major competitions involving best hockey teams around the globe. The team is associated under Royal Belgian Hockey Association, a governing body of field hockey in Belgium. 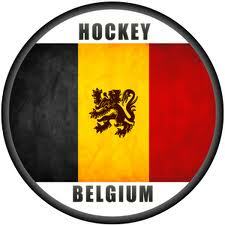 The Belgium National Hockey Team are also known as Red Lions and falls under the European Hockey Federation. The Belgium team is currently being coached by Shane McLeod, who has also coached national hockey team of New Zealand at the 2008 and 2012 Summer Olympics going into the world cup 2018. The Belgium National Hockey Team has come second and third in the 2016 and 1920 Summer Olympics. Since 1995, they have also managed to play at six semifinals at the EuroHockey Nations Championship, in which they have come third place in 2007 and runners-up in 2013 and 2017. They have also managed to win the Champions Challenge in 2011 and have also won a silver medal at the 2014–15 Hockey World League. The Red Lions are currently ranked number three in the FIH rankings with 1709 points. Vincent Vanasch, Gauthier Boccard, Loïck Luypaert, John-John Dohmen, Felix Denayer, Simon Gougnard, Florent van Aubel, Cédric Charlier, Thomas Briels and Tom Boon.